Jamestown. Now all but forgotten by contemporary America, this site was the foundation of the country now known as the United States. Begotten in hope, birthed in turmoil, and raised in affliction and heartache, the history of Jamestown is an unending narrative of intrigue, hardship, adventure, massacre, conspiracy, valor, and adversity. A true picture of the heart of man, the grace of God, and the depravity of all human wisdom, Jamestown paints - in perhaps more vivid colors than any other period of American history - the centrality and essentialness of the providential hand of God in the formation and construction of kingdoms and nations. Exploding with Indian attacks and intrigue, Spanish spy rings, and Dutch treachery, Jamestown is one long tale of endurance and survival amidst insurmountable odds. A cause that was doomed to failure time and time again, Jamestown - a city that should never have survived - lives on, even now, four hundred years later, as a witness that the great Disposer of all events works His way in the lives of men, despite all odds. 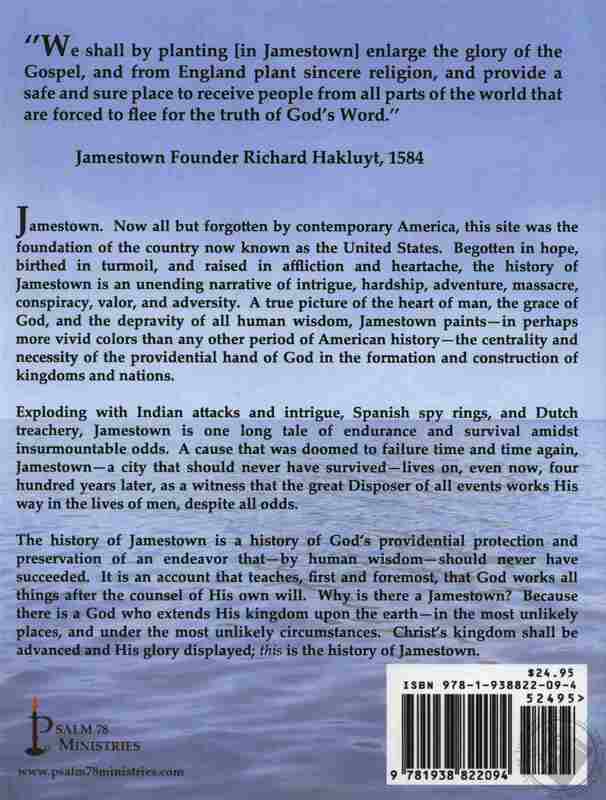 The history of Jamestown is a history of God’s providential protection and preservation of an endeavor that - by human wisdom - should never have succeeded. It is an account that teaches, first and foremost, that God works all things after the counsel of His own will. Why is there a Jamestown? Because there is a God who extends His kingdom upon the earth - in the most unlikely places, and under the most unlikely circumstances. 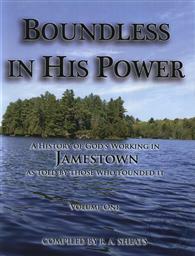 Christ’s kingdom shall be advanced and His glory displayed; this is the history of Jamestown. 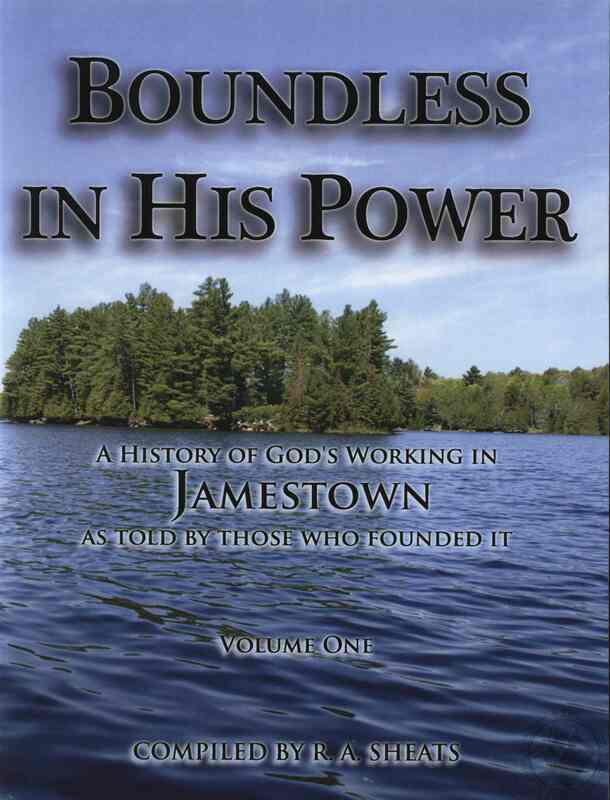 Boundless in His Power recounts the history of the founding of America by the republication of the original writings of the time. Chronologically ordered and bristling with illustrations, Boundless in His Power offers the modern reader an easy and understandable access to the documents and diaries of our sixteenth and seventeenth-century forefathers. 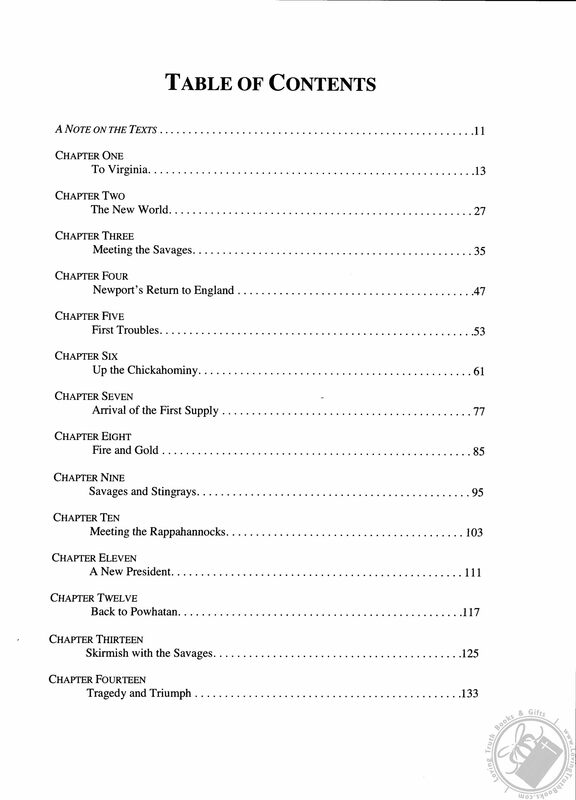 From the writings of Captain John Smith, Richard Hakluyt, and George Percy, to the plots of Indians and the secret letters of Spanish spies, the reader is presented with primary-source documents rendered easily-accessible and understandable to the contemporary reader: though each account appears in its original form (thus insuring the accuracy of the excerpts), spelling and capitalization have been updated to assist the modern reader, and all archaic words and expressions have been footnoted, thus facilitating comprehension and the reading process.